A practical, weatherproof backpack with a leather trim. Crafted from water-resistant nylon, the neat and compact body of the bag easily holds a 12.5" tablet and features the added security of a parachute clip and zip at the top. 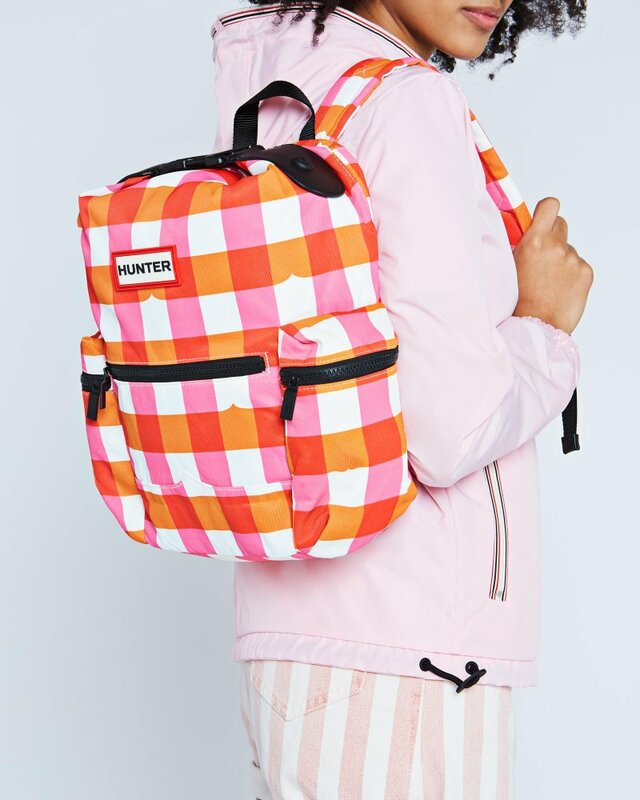 Taking inspiration from the Great British seaside, the Arcade Pink Gingham print features bright fairground-esque colors, and offers a nod to our rich Hunter heitage with the iconic Hunter Moustache hidden within.